Dental waxes are considered to be the most important element in making dental prosthesis. They are available in multiple colors according to the different purposes they're designed for. This type of wax is mostly used to make a space over the cast before custom trays can be made. The other use is to block out undercuts on casts. It's pink and normally comes in sheets. This particular U-formed wax is normally used by dentists to register the occlusal relationship between the upper and lower arches of the patient's mouth, and later to make an articulation of both, upper and lower casts. It is very important to have a good record of this because it's what the dentist and laboratory will use to make a good prosthesis that will be identical to the real arch's articulation. 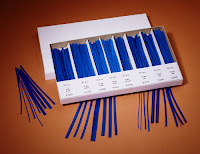 It's a parafin wax and resin, and it's usually orange, although it's also sometimes violet, red and blue. What makes this wax sticky and hard is the resin. Many laboratories take advantage its hardness to put together some broken pieces on a cast or denture so it can be accurately repaired. Because this wax is soft, it's the preferred wax to use when designing teeth. Some technicians even use it to make a preliminary model of the teeth on the cast, which later helps in checking the fine details between it and the porcelain crown(s). 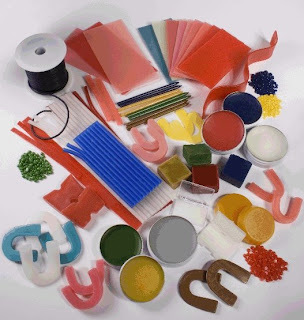 This type of wax allows the designer to have a wide selection of various wire shapes & gauges on hand. They are available in multiple forms, mainly rectangular, round, uncut bezel and triangular. But these can be divided into sub-categories and come in different diameters. This is used to make coping for inlay and onlay pattern by covering dies with a base coat of wax. The die is dipped once into liquified wax to produce a perfectly adapted, detailed, reproducible and accurate coping of wax that has even-walled thickness with sealed margings. The crush resistant coping comes off the die clean while supporting flexible and sharp margins. 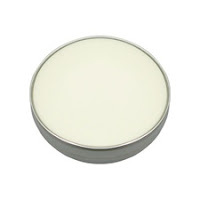 This wax is form-stable and contraction resistant (low shrinkage) from wax-up to burnout. It will not to pull, flare, chip, crack, drag or expand at the margins even when being cast extremely thin sections. It will resist deformation, due to handling and can be easily carved. Will not become sticky or flaky or gum up instruments and will burn-out cleanly with no residue. When we refer to wax patterns we have to differentiate between the wax patterns for crowns and bridges, that include the anterior, posterior, upper & lower blocks, and the patterns use dto make removable metal partials. Both of them come in different forms, sizes, and even colors to make it easy for the technician the modeling either the bridges or the metal frames.